Relax as you cruise on your holiday to France. 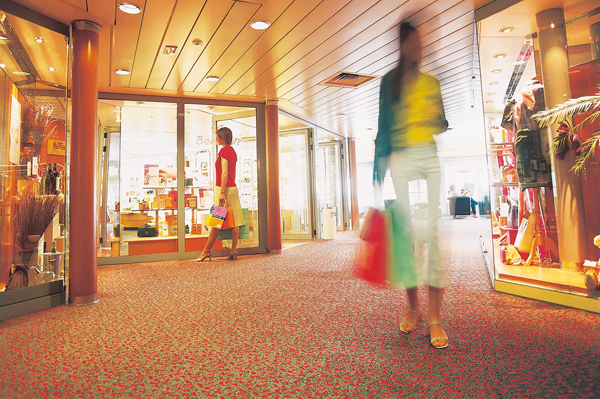 Brittany Ferries operates one of the most modern fleets on the Channel. 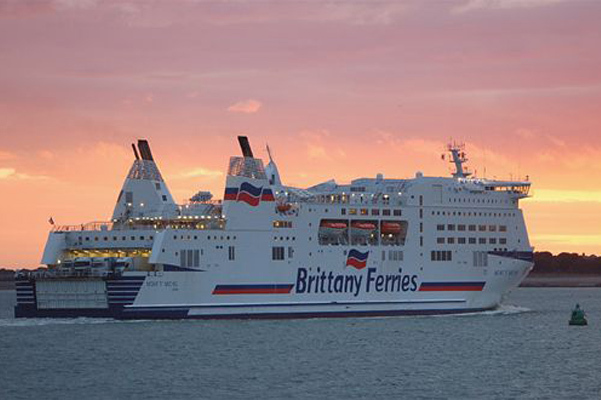 Brittany Ferries announce a new no-frills service called Brittany Ferries économie which will operate from Portsmouth to both Le Havre and Santander. The service is ideal for those of you who wish to travel to France or Spain at a very reasonable fare without either the cruise-style experience provided on their other ships or the speed afforded by Normandie Express.There will be four return crossings between Portsmouth and Le Havre. The no-frills, great-value feature will appeal to those on a tight budget. Customers familiar with their cruise ferries will notice the smaller public areas and lounges on this ship. One of these areas is the small self-service restaurant which will offer a limited choice of tasty French cuisine. There is a small bar, movie lounge and lounge area, however, there are no facilities or entertainment for children. 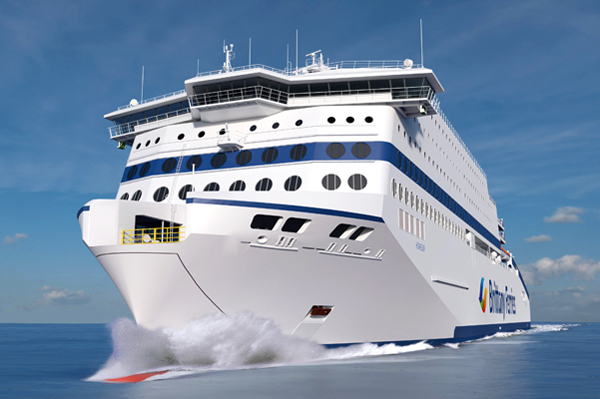 As with all their ships the service will be operated by Brittany Ferries' bilingual French crew and officers. The cabins will all have en-suite facilities, but without carpets, and there will be a lounge where seats can be reserved on overnight crossings. There will be two specially equipped cabins for disabled passengers. Arrivals at 18:30 into Le Havre would normally require an over night hotel stop for the first evening. Brittany Ferries high speed ferry gets you to France comfortably and quickly, with a crossing time of just 3 hours to Cherbourg. But while the fast journey time might make you think of air travel, the experience is very different. Check-in for the Fast Cat vessels is easy and hassle free and there are none of the annoying luggage restrictions. You can pack as much as you like into your car or foot passengers can bring what you can comfortably carry. Normandie Express is a high-speed aluminium twin hulled catamaran capable of carrying passengers, cars, bikes and small vans at a maximum speed of 42 Knots (about 78 kilometres per hour). She can carry up to 850 passengers and 235 cars. In 2014 she will be operating one return crossing each day from Portsmouth to Cherbourg and in addition one retrun crossing each day from Portsmouth to LeHavre on Thursdays, Fridays, Saturdays and Sundays. Named after the beautiful Normandy town of Mont St Michel, the ship offers passengers a host of other features including a choice of restaurants, and facilities including bars, cinemas, a disco club and video gaming area designed specifically for teenagers. 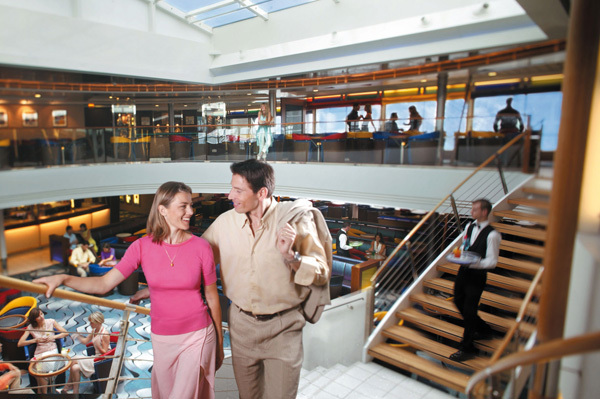 The Mont St Michel offers passengers a choice of 224 ensuite cabins and 419 reserved lounge seats. Carrying up to 2,200 passengers and with over two kilometres of vehicle space (she can carry 800 cars), the ship also features a range of state-of-the-art navigation and safety management systems making it not only one of the most comfortable channel cruise ferries afloat, but also one of the best equipped. Following the success of the Bretagne, Brittany Ferries commissioned the Normandie in 1991 for the route between Portsmouth and Caen. She can carry up to 2,123 passengers, and 600 cars. The Normandie has 220 ensuite cabins and 416 reserved lounge seats. Brittany Ferries has announced the return of Barfleur on the Poole to Cherbourg route from the 19th March 2013. Barfleur will operate a daily day-time crossing from Poole and an early evening cruise back from Cherbourg. Launched in 1992, the Barfleur is named after a picturesque, small fishing village in Normandy, only 25 kilometres from Cherbourg. Smaller than the rest of the fleet, she offers en suite cabin accommodation with or without porthole, self service restaurant, bar and reserved seats lounge. The Barfleur can carry 450 passengers and has a large garage for their cars. Operating on our Portsmouth to St Malo route, Bretagne has first-rate onboard facilities, including excellent dining, shopping and live entertainment, and can accommodate over 2000 passengers, almost half of them in cabin accommodation in addition to more than 300 reserved lounge seats and capacity for 580 cars. One of the nine ferries to France, Armorique was specifically designed and built for Brittany Ferries, and in particular for the Plymouth-Roscoff route, Armorique was introduced to the fleet in 2009. There's plenty of space to move around on board (both inside and on deck) with an open plan feel, and lots of areas to relax, including a quiet zone. Although there is not an a la carte restaurant, passengers can still enjoy a superb choice of menu options in the self-service restaurant, as well as hot and cold snacks from the café. Carrying up to 2,400 passengers and 650 cars, the Pont-Aven is Brittany Ferries' flagship, and the largest within their fleet. Regularly serving the Plymouth to Roscoff, Santander and Cork routes, Pont-Aven offers superb crossing times to both France and northern Spain, reaching Santander from Plymouth in just 20½ hours. This, the latest addition to their fleet, feels like a "boutique hotel". It has an intimate, less formal ambience than Pont-Aven, whilst retaining a sense of space and comfort. 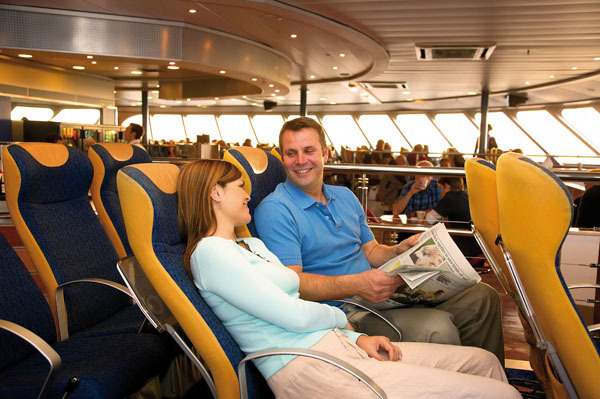 Cap Finistère provides an extremely comfortable way to cruise to Spain. Onboard there are relaxed dining areas, outdoor decks and cafés, degustation sessions with Brittany Ferries own experts, even make-overs and massage sessions: All with the usual superlative Brittany Ferries service. She can carry 790 passengers, 500 cars and has 265 cabins.